If the village of Crots has a priori nothing to hold the attention, if it is not a quiet situation and the perfect climate, dry and sunny of the Hautes-Alpes, it conceals however on its territory two wonders: a castle, erected by the lords of Embrun in the 12th century, at the beginning a simple wooden donjon, the Picomtal castle was then enriched and remodeled over the centuries to the Louisiana style conservatory added in the 19th century; the Abbey of Boscodon, Romanesque building of the twelfth century classifiedmonument historical history, these two wonders are to see absolutely. 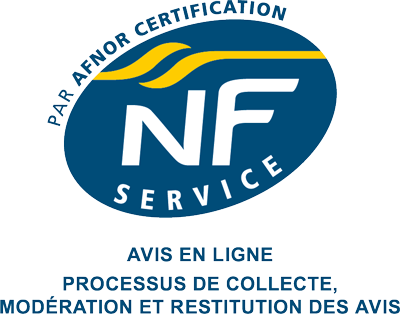 Rich in forests and pastures, the town is located on the outskirts of the Ecrins National Park, the heart of the park being a special protection area for bird conservation as part of the Natura 2000 network. 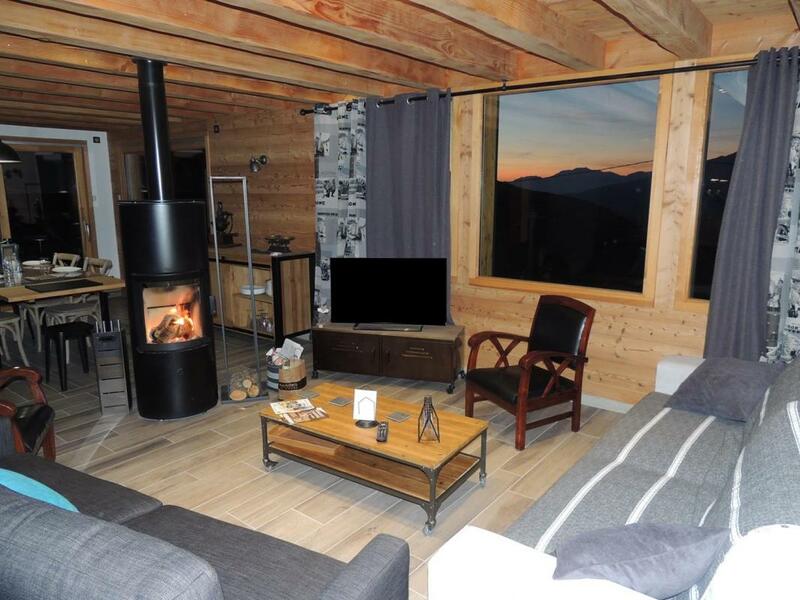 It is close to these remarkable sites that you will be lodged in this splendid independent chalet arranged on a privative ground with a stupendous view on the lake of Serre-Ponçon and the surrounding massifs. 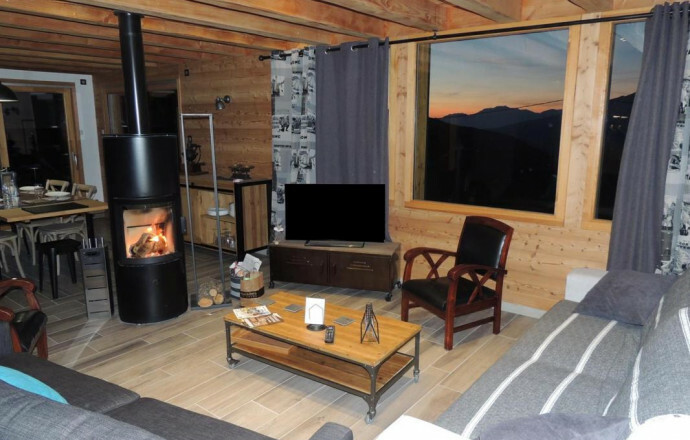 This cottage is voluminous, arranged on 2 levels: on the ground floor large living space with kitchen, dining area and large lounge area in an atmosphere combining modernism with the mountain atmosphere. Independent WC, laundry. Upstairs 3 bedrooms, 2 very spacious with 2 beds 2 people in 160 x 200 cm (one of the rooms with TV) and 4 beds 1 person including 2 bunk beds, bathroom wc with shower and bath. Electric floor heating and wood stove supplement (wood provided). Washing machine, dishwasher, freezer, flat screen television ... Sheets included, possibility of hiring towels, optional cleaning service, shelter for equipment or vehicle. Baby equipment. From the day room, you have direct access to a large terrace facing west and a landscaped and equipped garden with garden furniture, sun loungers and barbecue to enjoy the tranquility of the place. From the cottage many hiking await you to contemplate the landscape under a bright sky, but also a climbing site a few kilometers, sports slides in the three surrounding resorts of Orres, Crévoux and Réallon that offer skiing Alpine skiing, Nordic skiing, hiking, snowshoeing ... Do not leave without having tasted the joys of Lake Serre-Ponçon with its many water and outdoor activities.